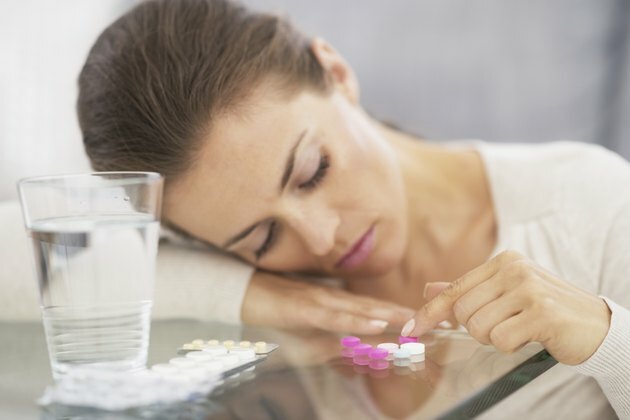 Parental drug abuse potentially impacts legal rights in three different areas: visitation, custody and parental rights, according to the American Bar Association Section of Family Law. Drug abuse by a parent potentially causes the loss of visitation, custody and even parental rights in the most serious of cases. A number of factors come into play when determining the impact of drug abuse on visitation, child custody and parental rights of a parent. These factors include the type or types of drugs used by the parent, the length of time the parent abuses mind altering substances and whether the parent abused drugs in the past, according to the American Bar Association Section of Family Law. Immediately upon finding a parent abuses mind-altering substances, a court suspends visitation of parenting time between that individual and the child. In the best-case scenario, the parent may be able to obtain supervised visitation if she seeks immediate substance abuse treatment and demonstrates progress on that front. Unsupervised visits or parenting time will not be permitted until the parent clearly demonstrates sustained sobriety. The standard applied in determining custody issues by all jurisdictions in the United states is what is in the best interests of the child, according to Divorce HQ. A parent laboring under the effects of drug abuse or addiction is not deemed in a position to best ensure the protection and advancement of the best interests of the child. Therefore, such a parent is not able to obtain custody of a child in the first instance. Moreover, a parent in that position that previously maintained custody will face a change of custody order from the court. A parent with perpetual substance abuse problems runs the risk of losing parental rights all together. If a child in need of care case, sometimes known as an abuse and neglect case, is filed against a parent with drug abuse issues, one resolution of such a case is the termination of parental rights. The law does require an attempt to reunite the parent and child. However, if the parent fails to resolve the drug abuse issues within about a year's time, the court will move to terminate the parental rights of that child, according to the American Bar Association Section of Family Law. Cases involving allegations of drug abuse or addiction to mind-altering substances and the impact of these issues on custody, visitation or paternal rights represent complex legal matters. Therefore, if facing such a proceeding, your legal interests likely are better protected through the engagement of an experienced attorney. State and local bar associations maintain directories of lawyers in different practice areas, including specialists in family law. Contact information for these groups is available through the American Bar Association.